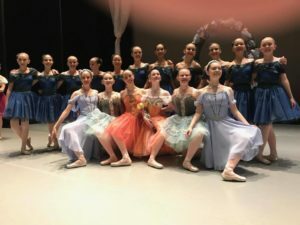 Soiree de Ballet 2018 a Great Success! 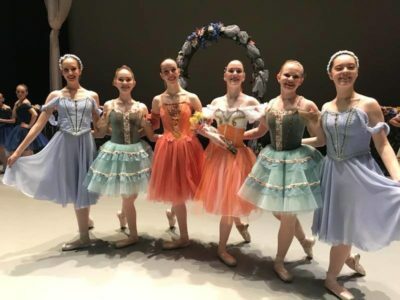 Scottsdale School of Ballet had a great successful run of performances this past weekend with the Soiree de Ballet 2018 at the Herberger Theater. We are so fortunate to have the faculty, staff and group of volunteers to get this production to the theater is such great shape. We are not only very proud of our students but have many to thank for this production. Thanks to the entire theater crew at the Herberger and especially to our Stage Manager/Lighting Designer, Jenissa Yauney for your ethereal lighting throughout the evening. Thanks to Julia Chacon for opening the show with a fiery Flamenco work that included “Solea por Bulerias/Tangos and Sevillianas”, for Levels 2 – Intermediate and to Kristofer Hill for his outstanding Flamenco guitar stylings in live accompaniment. Joan Rodriguez and Taimy Miranda, your contemporary works were such a wonderful addition to this evening, from the pensive “Ostinato” for the Level 4, the riveting “Time Flies” for the Intermediate level, and the stunningly, captivating “Saved in a Glass” for the Advanced Level. We are looking forward to many more works in the future. Also, Rebecca Boizelle, for the work you did with the Level 3’s first year in “Surrender”. Our ballet faculty, thanks Aidan Huff for teaching our Level 1 and Intermediate levels. Caroline Fazzuoli, who did wonders with the Level A through Level C in “The Ballet Class” and “The Seasons”! Every single one of these students was not only well prepared but each performed with confidence beyond their level. Also to Amanda Hidalgo, for accompaniment on piano throughout the year. 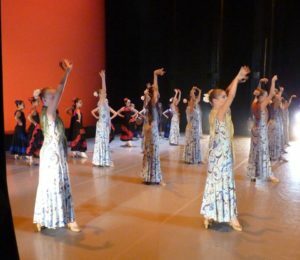 Paola Hartley, thank you for your help in training the Level 2 and Advanced dancers at SSB and for the addition of your challenging but dynamic ballet “Allegretto” to this evening. 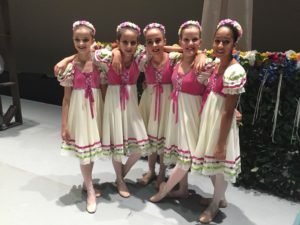 Finally, our Level 3 – Advanced level who rose to the occasion to represent a true classic in for “Coppelia Act III”. 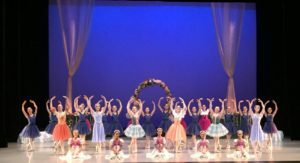 Our Advanced level truly pulled out all of the stops and gave the performances of the year in this ballet. Congratulations to all for a wonderful weekend of performances.